While new technology and complicated theories promise to take your trading to "the next level," the truth is that long-term success in this field is rooted in simplicity. That's why Al Brooks has created Reading Price Charts Bar by Bar. With this book, Brooks—a technical analyst for Futures magazine and an independent trader—demonstrates how applying price action analysis to chart patterns can help enhance returns and minimize downside risk. Along the way, you'll discover the importance of understanding every bar on a price chart, why particular patterns are reliable setups for trades, and how to locate entry and exit points as markets are trading in real time. Learning what the market is telling you can be difficult, but with the right approach, you can achieve this goal and capture consistent profits in the process. 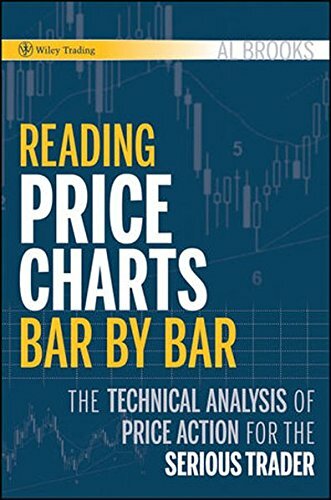 Reading Price Charts Bar by Bar has all the information you need to succeed at this endeavor and will put you in the best position possible to make the most of your time in today's turbulent markets. "Al Brooks is a trader's trader. He understands the focused energy it takes to be successful at trading and works long, hard hours in front of the computer screen to beat the markets. In his first trading book, he outlines, selflessly, his strategy step by step. A doctor and educator in his previous life, he uses his eye for detail and transfers lessons he learned in training himself on the art of trading to the written page. For those who are willing to delve into the details of day trading and dedicate the time and energy to do it seriously and most likely profitably, Al Brooks's book Reading Price Charts Bar by Bar, is a must-read."